Mice are small, timid animals who typically weigh less than an ounce and whose bodies average about two or three inches in length, from the nose to the base of the tail, when they are full-grown. 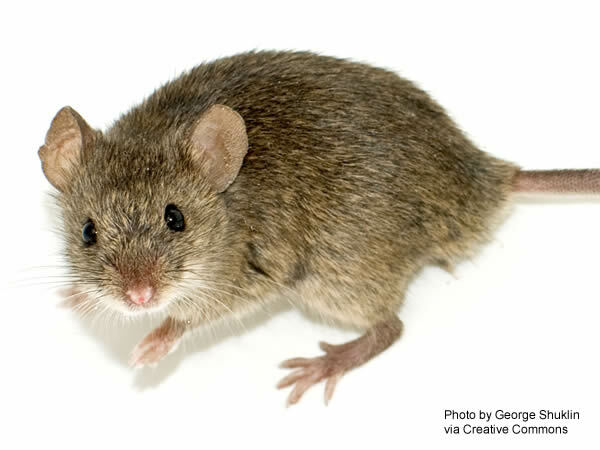 The specie most commonly encountered in homes (aptly called the "house mouse") is usually grayish in overall color. Like many prey animals, mice have keen senses of smell, touch, and hearing, which help them to evade predators in the wild. They also have a good sense of balance and are quite adept at climbing and running along narrow surfaces like pipes and suspended electrical conduits. Their bodies are largely cartilage (except for the skull, spine, and tail), which enables them to squeeze through very small openings. Their vision, however, does not appear to be very good; it's doubtful that they can see much more than shadows, vague shapes, and movement beyond a few feet. They also appear to be color blind, which is why commercial rodenticides can be dyed red, blue, chartreuse, shocking pink, or pretty much any other color the manufacturer likes, without affecting the baits' acceptance by mice. Mice will eat most plant-based foods, but they prefer seeds and cereal grains. They've also been known to eat chocolate and other candies, cheese (although it's not as preferred a food for mice as many people think), bread, pizza crusts, and pretty much anything else if they get hungry enough. They tend to be nibblers, taking little bites here and there as they go about their business. Mice don't need to drink water (they get enough in the foods that they eat), but they will drink it if it happens to be available. Mice may look cute and harmless, but don't let them fool you. Mice are very important public health pests. Mice are known to be involved in the transmission of several serious diseases including food poisoning, hantavirus, leptospirosis, Lyme disease, and typhus. They also contaminate many tons food and feed every year with their shed fur, parasites, urine, and feces. Because of their small size and timidity, many times we first become aware that we have a mouse problem when we see evidence of their presence, such as their droppings, rather than the mice themselves. Their small size also allows mice to come much closer to where people live than their cousins the rats, which actually makes mice more dangerous than rats in some ways. It's not at all uncommon to find mice living in a kitchen pantry or a drawer where utensils are stored, for example, because mice can get in through very small openings. Rats, on the other hand, would have to gnaw their way in, and we'd probably hear and notice the gnawing before they succeeded. 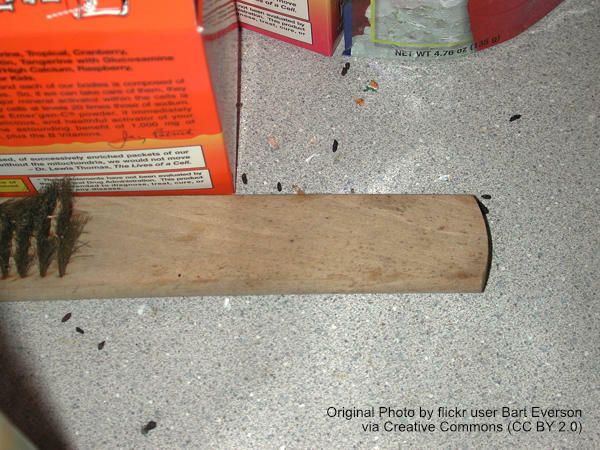 Signs that you have a mouse problem include droppings, nesting materials, gnaw marks on wood, cables, or food packaging, footprints, or tail prints. You may also hear them nibbling or moving around in the cabinets or inside wall and ceiling voids. Cats and dogs may also alert to mice in structural voids or other areas of a home, and may even catch them and bring them to you. Like all rodents, mice are gnawers. They are believed to cause many fires every year when they gnaw through electrical wires and cause short-circuits. They also cause untold data loss and downtime when they gnaw on telephone and other communication and network cables. Mice can also damage stored products, especially clothing and other textiles, by their gnawing or their use of stored garments as material to line their nests.